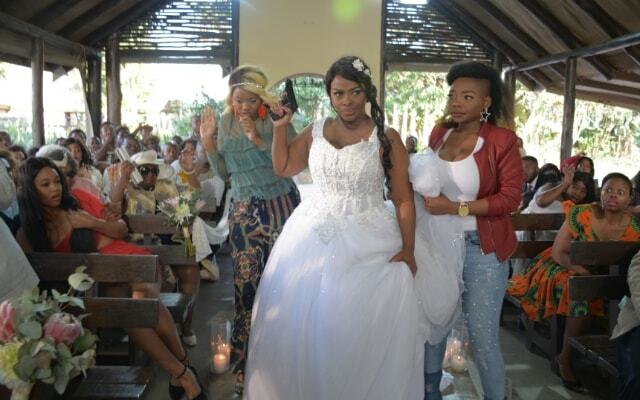 Soapie fans got all the drama they wanted, and then some, with the TV wedding of the year. It’s the most watched soapie on our screens and this plotline is one of the most highly-anticipated TV events in South Africa. 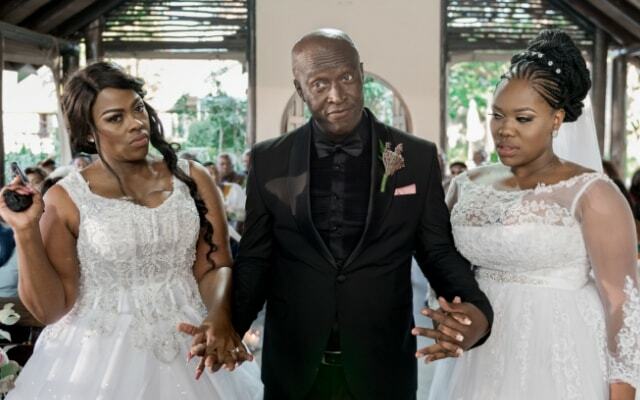 The episodes, which saw the Uzalo’s love triangle and drama between MaNgcobo and MaMlambo reach its climax, is already being described as iconic. The wedding had to be large enough to fit the anticipation, and no detail was spared, including some stunning outfits for the cast and “wedding guests”. 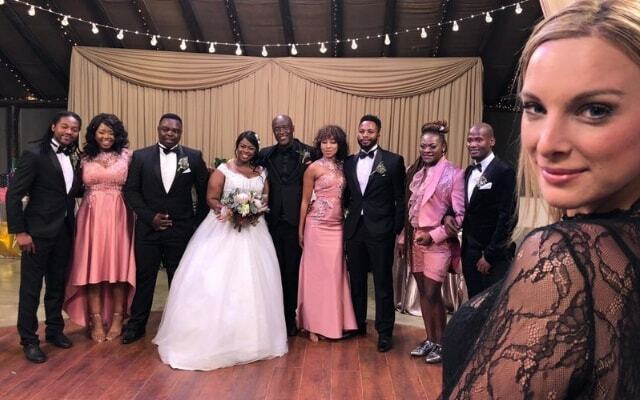 Khaya Dladla and Nyalleng Thibedi wore stunning outfits designed by Mxolisi Luke Mkhize, and the bridesmaids dresses were sure to turn heads. For this white wedding the groom, Masoja Msiza’s Nkunsi, makes quite an entrance – in a statement outfit by Nhlanhla Mvubu. 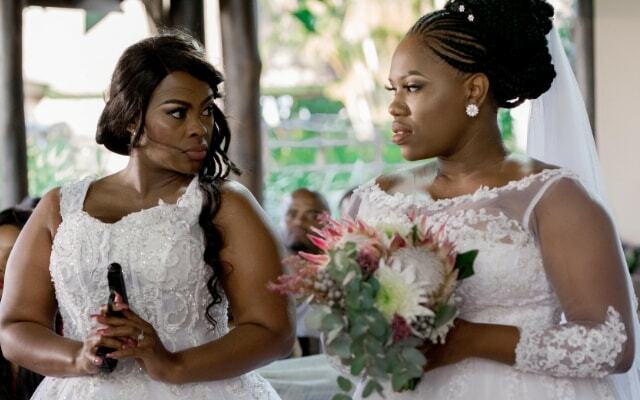 All eyes were on leading lady Mamlambo, played by Gugu Gumede, in a stunning bridal gown. 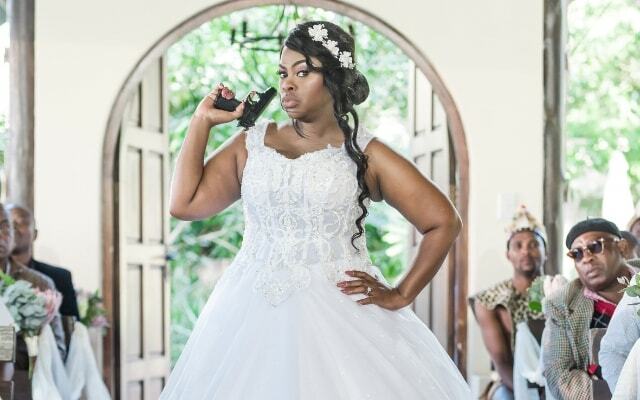 While she may have looked like a fairytale bride, it couldn’t last when Dawn Thandeka King’s MaNgcobo arrived to cause some drama. 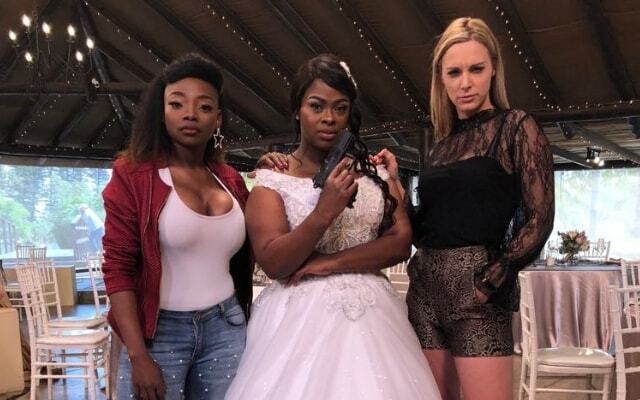 The episode concluded with MaNgcobo asking her husband who he wanted to wed, with the gun still pointed at the other bride. Even though the episode features a ton of tension, somehow, everyone ends up on the dancefloor in the second concluding episode, but that doesn’t mean there are no casualties. The scale of the production was huge, and over three days of filming near Umhlali, in Kwa Zulu Natal, MQ Ngubane the director, turned a logistical nightmare into TV dynamite. With a huge amount of extras and crew along with five seperate cameras, there was room for potential error.While elements like sound constraints were problematic, the crew pulled it off. We were on hand to learn about all the drama, and spoke with everyone from musical group The Legacy to designer Mxolisi Luke Mkhize and leading lady Gugu Gumede. If you want a fairytale love story – buy a romantic novel. But if fireworks are more your scene, you know where to find them. 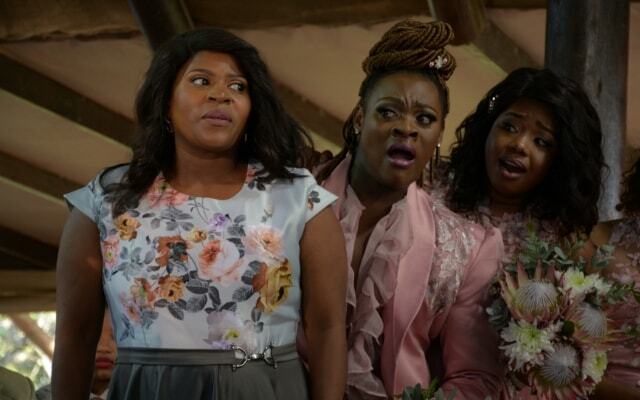 Catch Uzalo week days, Monday to Friday at 20:30 on SABC1.